On a recent trip to Walmart, I was launched down memory lane when I saw a surprising addition to their inventory: vinyl records! I could hardly contain my excitement or nostalgia. 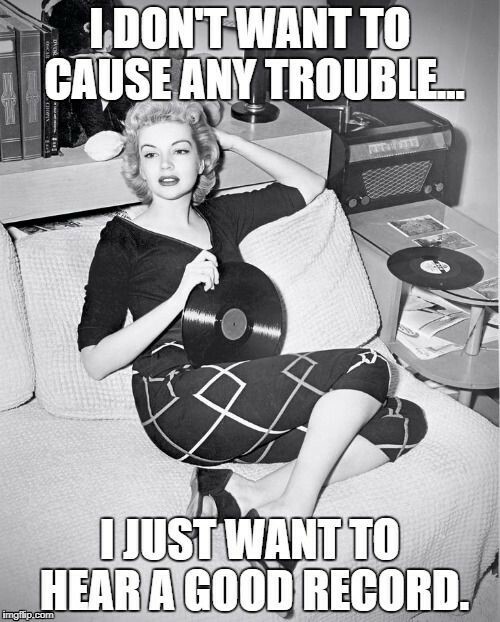 As a child, I remember sitting by a huge stereo and listening to music on the record player with my family. My dad played this game with us where he’d put on a mystery record and we had to guess who the artist was. Those were the best times. Every week when I got my allowance, I’d hurry over to Sears and buy 45s of all my favorite songs. 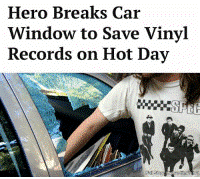 I was super-duper careful with the records. Back then, your favorite record getting scratched was hands-down the absolute worst. I remember when the 8-track tape was the next big thing; we stuffed big tapes the size of PB&J sandwiches in the dashboard. Cassette tapes replaced those giant 8-tracks, then CDs replaced cassettes. Now, even CDs are practically a thing of the past. As it turns out, people of all ages love the look and feel of a true physical artifact – and with music coming out of your phone or computer, you don’t get that experience. Sliding out a record, dropping the needle, watching it spin, and hearing the true sound, the way it was originally heard – you can’t beat that! In 2016, vinyl sales hit a whopping $13 million. Add the used records sold at little hole-in-the-wall places, and sales hit hundreds of millions – seriously. This is a far cry from the good old days in the ’80s, when vinyl sales pulled in $2 billion, but one thing’s very clear: vinyl is back, baby! The top selling-albums today? Not pop music. Classic rock, by far. While some trends come and go (how have I almost forgotten Kiki already?! ); others stand the test of time. My brother just bought me a replica of a vintage Dansette record player made by Crosby, and I’m looking forward to buying a few albums. At least this time, I won’t have to wait on my allowance.